The superior nuchal line limits the lower boundary of the perpendicularly flat occipital plane and creates a ridge that spreads out across the entire occiput. There, a faint, recognizable supreme nuchal line is located over this ridge. 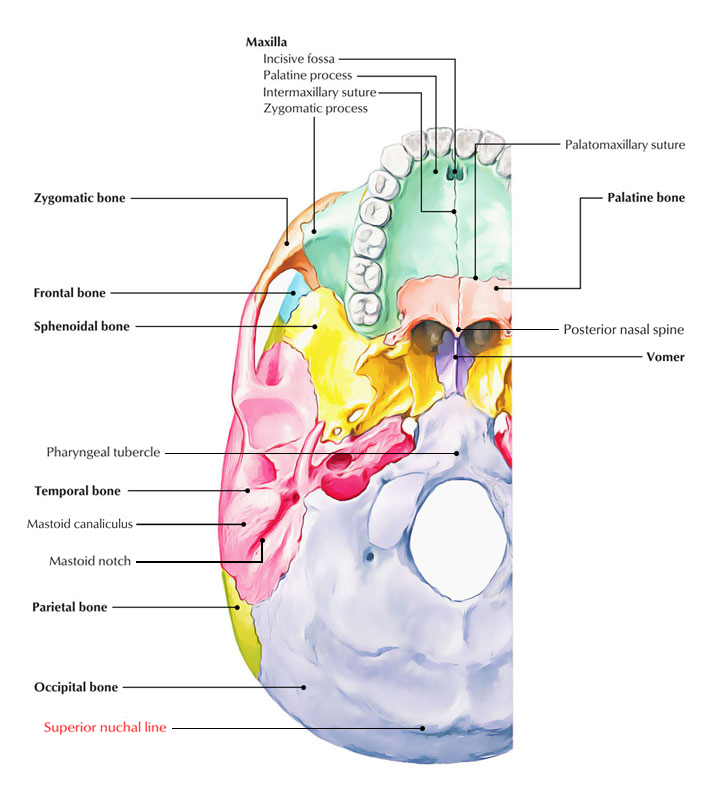 Centrally, the supreme nuchal line goes downwards at the bottom in order to form a distinct external occipital protuberance that is located somewhat over the situation of the superior nuchal ridge. Under this line, the bone is roughened by the attachments of the semispinalis capitis and obliquus capitis superior muscles. There is a faint supreme nuchal line which can be recognized over this ridge.